◊ It estimates how much battery capacity you’ll have remaining when you arrive at your destination. ◊ It tells you where to stop to Supercharge if you need to do so. ◊ It’s extremely accurate because it takes so many factors into account — topography, temperature, your own recent energy use while driving, average driving speed on the route (or at least the speed limit along the route — I’m not sure which dataset Tesla uses, or if it takes both things into account), and perhaps even whether or not it’s raining. However, the system isn’t perfect. There are three major issues with it, from my perspective. And, anecdotally, I gather that most Tesla drivers are irritated by the same three things. First of all, you can’t put multiple destinations into the navigation system. If you want to go to a handful of places, you can’t put them all into the system, see how many kilometers they will take, and see how much charge you’ll have at the end. You can’t even do it with two places. And what that means is that if I’m ever going to two or more places, I have to guess how much battery capacity I’ll have at the end — which is sometimes quite inconvenient. Also, if I am going multiple places and want to figure out the best order to go to them in, I have to pull out another device and figure it out on Google Maps or such. I know — 1st world problems — but nonetheless, it would be much more convenient for drivers if we could put in multiple destinations, and it seems that should be an easy feature to implement. A second issue is that, unlike Google Maps, you can’t click on the route the system provides and drag it to another street. You have to live with what Tesla gives you. Yes, you can drive off the the route using your own judgement once you’re on the road, but you can’t check distances and estimated capacity by sitting and dragging the blue line around. 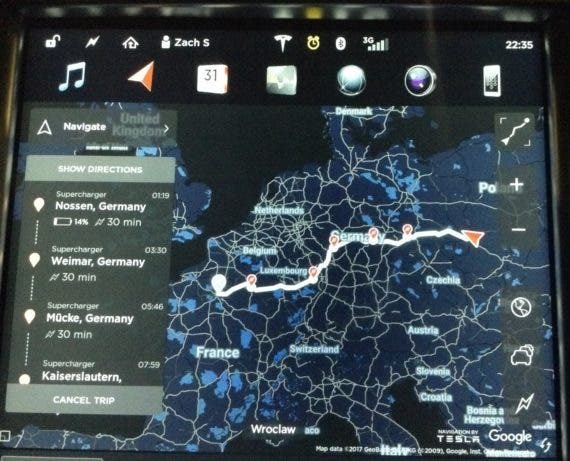 One reason this is an issue is that Tesla’s navigation system is not exactly always the best at choosing a route. 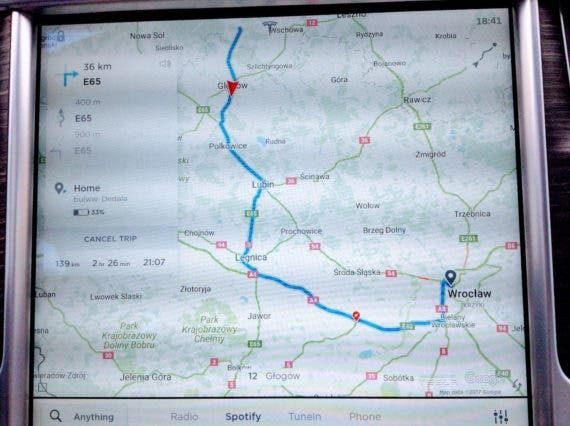 Some Tesla drivers are probably laughing right now because they know very well that the navigation sometimes proposes quite wacky driving directions. 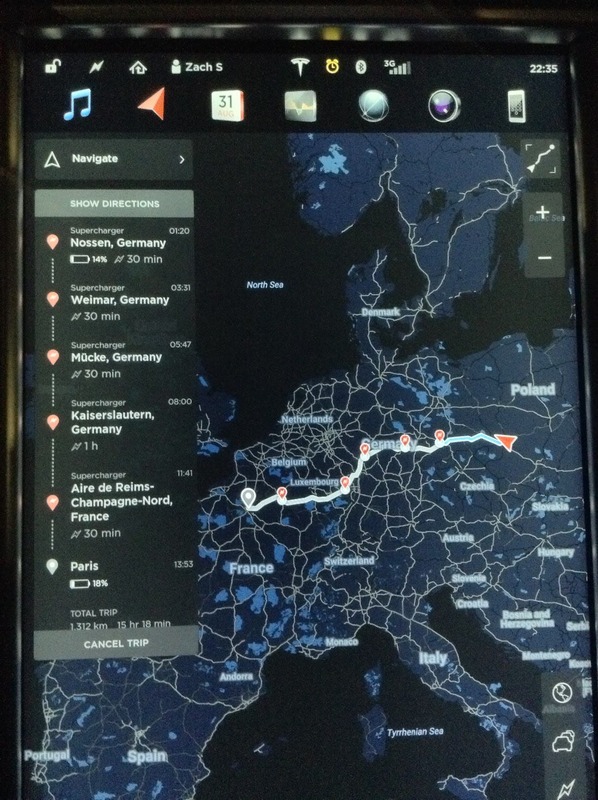 The third issue — and I think this is really the only other issue with Tesla’s navigation system — is that its time estimates are often really, really bad. I would say that most of the time I’ve paid attention to them, they have been wildly pessimistic. I mean, they have estimated at the beginning of some trips that they would take an hour longer than they actually took. I learned on day #1 to not pay much attention to the arrival time estimates. However, since then, I’ve noticed by chance that they are sometimes fairly accurate. I have no real idea why the estimates are so wildly off for some routes and quite good for others. If you have some insight into this, let us know! I think I covered the core goodies about the navigation system in my first article about it, but recent discussions under some CleanTechnica articles brought up a few other things I can praise about the system. 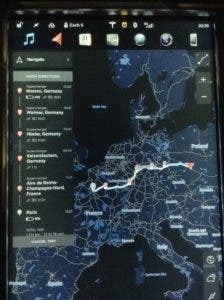 First of all, unlike basically any computer screen out there, the navigation screen is superbly visible in bright light. 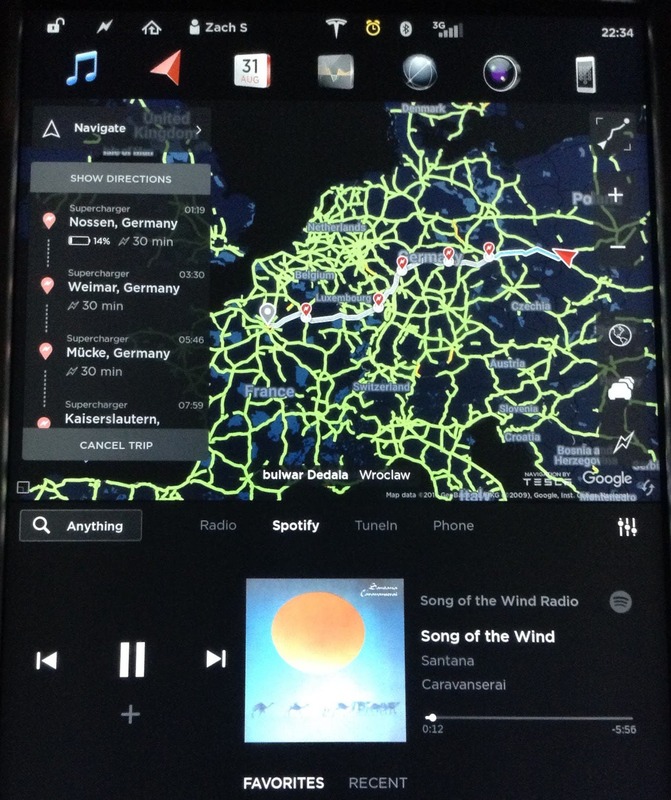 There was never a time when I thought, “Shoot, I can’t see the navigation well — what shall I do?” Actually, I didn’t even think about this issue until some readers brought it up in discussions about the Model 3 touchscreen. If you’re worried about touchscreen visibility in daylight, my recommendation is: don’t waste time worrying. Similarly, the navigation is pretty slick in the dark and changes to a cool nighttime color scheme. Again, I think it’s designed well and makes the key things you need to see highly visible. It is possible that there could be better color options and better contrast — the design Tesla chose can’t be perfect — but it works really well for me. The navigation brightness has an “Auto” option, but you also have a lot of control over how bright or not you want the screen to be. Just head on into the “Display” settings and decide how far off of Auto you want to steer. Similarly, you can turn off the highlighting along the roads if you wish. The default at night has bright yellow roads which are a bit too strong for my taste, but I just have to tap one little car symbol and they disappear, leaving a peaceful grey & blue on the greyish-blue map — with red Superchargers along the way if needed. As it turns out, mapping the route from Wroclaw to Paris just now to play with the settings (and to prep for a potential drive to the Autonomy conference), I can see that I should Supercharge 5 times along the way and the entire trip will take me 15 hours and 18 minutes. Ah, if only I could trust that time estimate. But at least I can trust the range and charging estimates! And I also know the navigation system will tell me if I need to slow down along the way in order to make it to a Supercharger. Pretty cool if you ask me.